nla.pic-vn4269867 PIC P1029/12 LOC Album 935 James Foley, per Ld. [i.e. Lord] Dalhousie, taken at Port Arthur, 1874 [picture] 1874. 1 photograph on carte-de-visite mount : albumen ; 9.4 x 5.6 cm. on mount 10.5 x 6.3 cm. 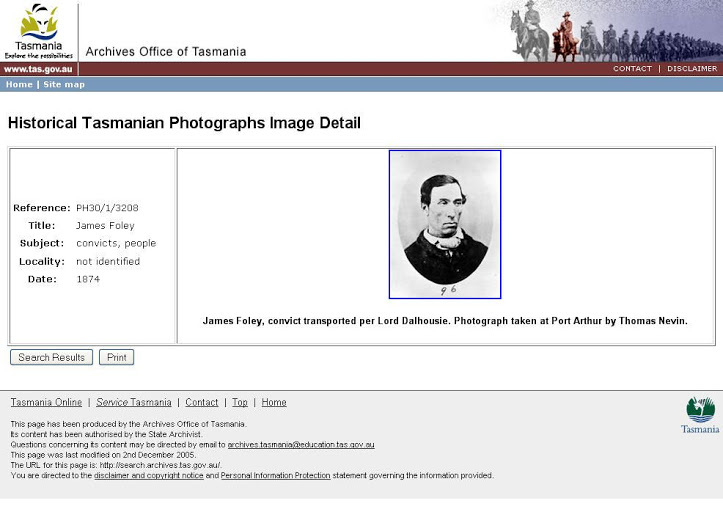 James Foley was discharged 21st October 1874, when he was photographed by T. J. Nevin, and again in 1875. 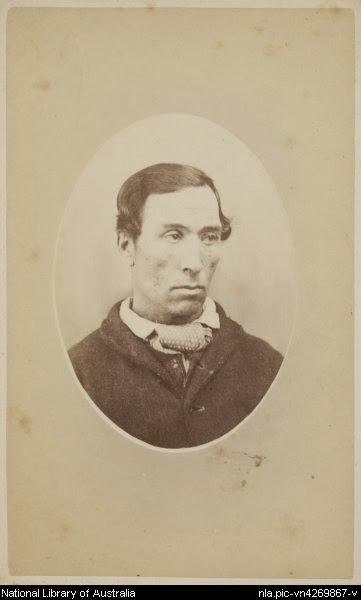 James Foley was convicted and photographed again by T. J. Nevin on 11th September 1875.